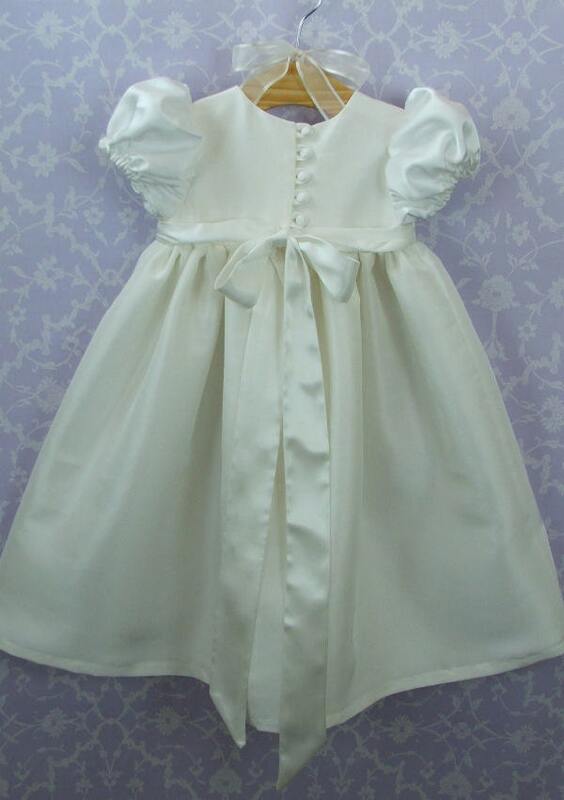 This gorgeous Christening/ Baptism dress is quite special. Two silks are used to produce a contrast in texture and finish. The sleeves and inserted waist band are of 100% silk satin with all the sheen you would expect of satin. The waistband continues around to the back and becomes a lovely long satin tail to tie into a softly draping bow. Sleeve is a simple short puff sleeve with elasticated finish. 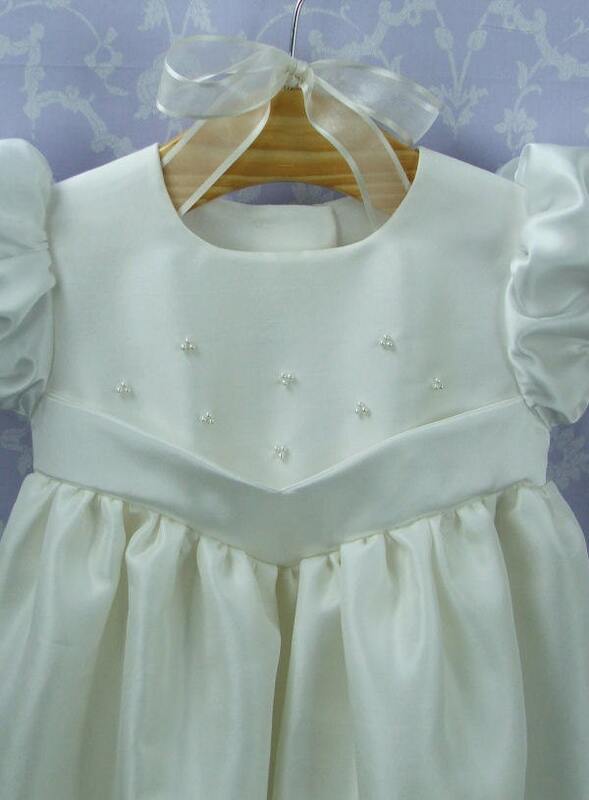 The front bodice also features our hand beading. Little clusters of 3 ivory pearl beads create a simple yet effective eye catching detail. I purchased the Charlotte gown with all its accessories. 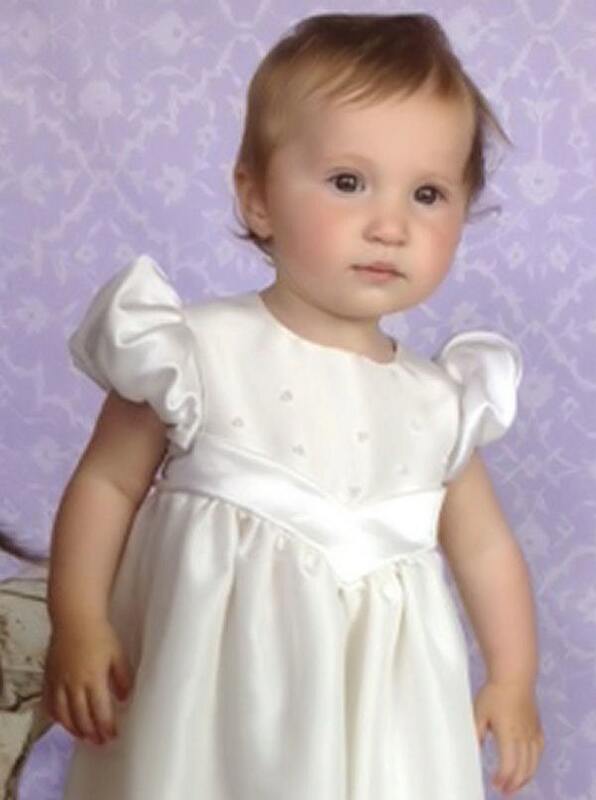 The quality of the tailoring is exceptional and the dress is stunning! 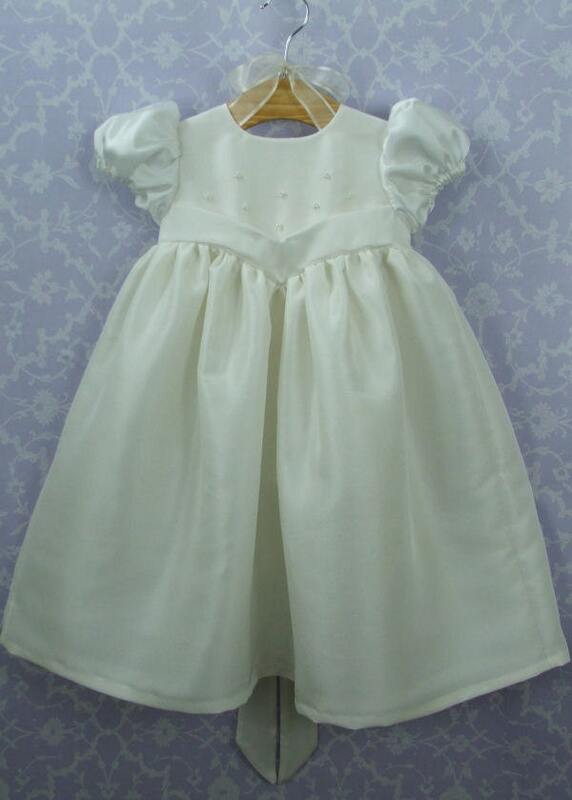 The quality of silk is very good and you can visibly see the difference if compared to a high street christening gown. I am extremely pleased with Rachel's communication throughout and her good knowledge of sizes for little people and how quickly they grow. I decided to request a cape on Charlotte style (tripple beaded silk) which is not listed and Rachel was prompt and speedy in my request so it would be ready on time!